Currently working in the music unit ARTERY VEIN with Asami Imai. Also provides the voice of CUL, a Vocaloid. She is also known to be an amateur manga artist in Japan in her spare time. 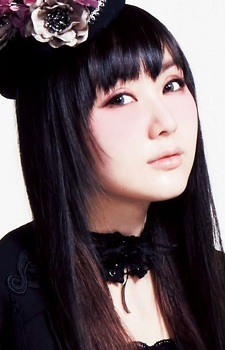 When she was a chlid she went by the name Okamura Eri (岡村 英梨). Aoharu x Kikanjuu: Kemono-tachi no Senjou da na! Girls & Panzer: Shoukai Shimasu! Precure All Stars Movie DX2: Kibou no Hikari☆Rainbow Jewel wo Mamore! Precure All Stars Movie DX: Minna Tomodachi☆Kiseki no Zenin Daishuugou! She looks like Reki from Haibane Renmei. Yachiyo Todoroki is new Eagle Marin from saint seiya. well she deserve that. Her voice in male character is perfect. don't worry sayaka, kyosuke doesn't deserve such a loyal person as you! Left Early Wing on December 31, 2018 and is free.